Whether you see a rat or you just find evidence of its presence, you will probably start thinking about rat extermination near San Jose or Pleasanton right away. Many people are unsure of how to handle this type of rodent infestation, and a few questions typically come to mind regarding the reasons you have rats, where you might find them, and how you can get rid of them. Continue reading for the answers to some common questions about rat removal. Why Would Rats Seek My Property? If you find rats in or around your house, you probably have something to offer that they are looking for. Rats will gravitate towards a source of accessible food, and many homes and buildings unknowingly provide this. Be sure to use garbage cans with secure lids and use two bags whenever you have a particularly large load of trash. Rats might also be drawn to your property if you feed your pets outside. They will feed on cat food, dog food, or even birdseed that is left out and available. Try to feed your pets inside in order to ward off rats. You should also pick up after your dog promptly; dog droppings may be appealing to rats. Where Do They Hide Inside? In the unfortunate event that rats make their way into your home, they will typically hide in a few specific places . They like to stay out of sight so that they can continue to feed without being noticed, and they might hide in your ceilings, walls, and crawl space. You may also find them in tight locations where you might not expect them to fit, such as behind cabinets and in boxes. Who Can Help Me with Rat Removal? It is important to take care of a rat problem quickly so that you can enjoy peace of mind and a sanitary home. 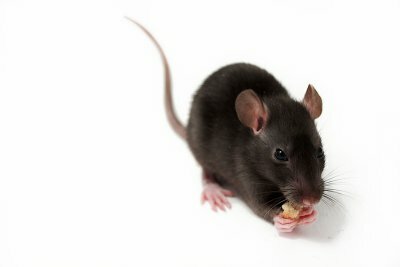 Contact a professional rat removal company as soon as you notice signs of rat activity. Be sure to find an exterminator with experience in dealing with rats in particular to ensure that the job is done properly. Even seeing a rat from a distance can be disturbing for some people, and having one in your home can be even more unsettling. Rats can gnaw through your belongings, carry diseases, and cause a range of other problems around the home. 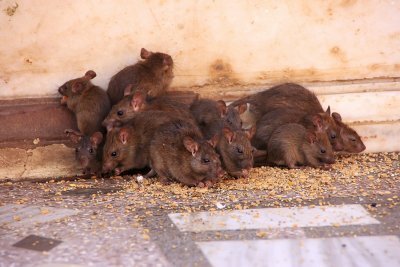 It is important to call a company that provides rat control near San Jose or Pleasanton quickly, but you must know the signs of a rodent infestation before you can do so. If you would like to be prepared to call for rodent removal, read on for a look at the common signs of a rat infestation. For such small pests, rats can do a surprising amount of damage. They tend to chew and gnaw their way through a variety of different materials including wooden structures, cardboard boxes, and even plastics. Look around the house for signs of gnawed materials or teeth marks on your belongings. You might also notice signs of foraging paths that rats and mice use throughout your yard. In some cases, you might actually see a rat’s body. Whether the rat is alive or dead, it is important to call for rodent control at this point; there is a good chance that there are many more in the area.